For over 25 years, the idea of a woodworking school lingered in the imagination of Port Townsend. We lived with it, talked about it, agreed that it was a part of the essence of our community, but it always seemed to dissipate before anyone could organize the idea into a solid reality. Nonetheless, the enthusiasm for woodworking was undeniable and occasionally surfaced in organized events. Jim Tolpin and John Marckworth founded a woodworkers’ guild, which hosted a woodworking show in 1984, and for a number of years, a Woodworker’s Ball ⎯ a fundraiser for the high school wood-shop. Then, in 2004, there was a neighborhood party. Tim Lawson, likely en route to grab a beer, crossed paths with Jim. Tim was new to town. He’d made his way here from the UK via a career in the high-tech industry and The Center for Furniture Craftsmanship in Rockport, Maine. These two passionate woodworkers needed no help starting a conversation and eventually found themselves discussing the similarities between Rockport and Port Townsend and the fact that Port Townsend was ripe for a woodworking school. Jim later phoned Tim and announced: “It’s time to do this!” And our three founders started meeting for morning coffee on a regular basis. In late summer of 2007, eighty-six students enrolled in what the founders called “Sawdust Free Education”--seven courses with an emphasis on design offered in classrooms at Fort Worden State Park. This was a chance to experiment with curriculum, location, and community interest. 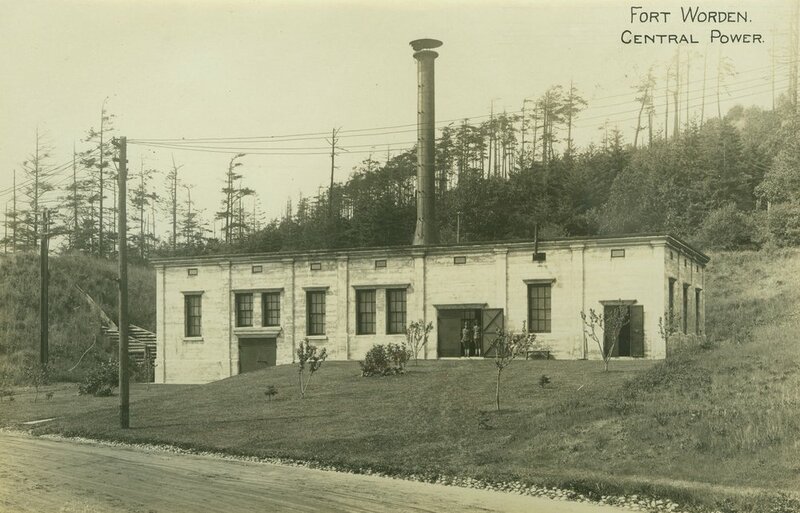 The experiment drew the attention of Kate Burke, then Fort Worden’s Manager. Kate recognized the good fortune of having a school of fine craftsman as a resident organization, and suggested the addition of Preservation Trades to our name and mission. Finding a space at Fort Worden was harder than imagined. There are over 50 buildings and the Woodworking School ended up in the only one made of concrete: The Powerhouse. To say it was used as storage glorifies what was actually housed there: 3000 gallons of lead paint, old radiators stacked floor to ceiling, and pianos ⎯more abandoned pianos than anyone can rationally imagine in one place. Converting the Powerhouse into home of the Port Townsend School of Woodworking and Preservation Trades was a heroic effort on the part of the community. In addition to our three intrepid founders, Park staff and local volunteers (many of them avocational woodworkers) clocked countless hours to clean, paint and outfit our new home. We also received support from the larger woodworking community. Lee Valley Tools offered a generous discount on tools and Ron Hall at Woodcraft made a special delivery of our new workbenches using his horse trailer. After all those years of imagining a woodworking school in Port Townsend, it came to life when we opened our doors on March 8, 2008. Our first year of programming was primarily one-day courses, open shop time, and an evening lecture series that included Stump the Stooges where Jim and John answered questions in the style of Click and Clack from CarTalk. 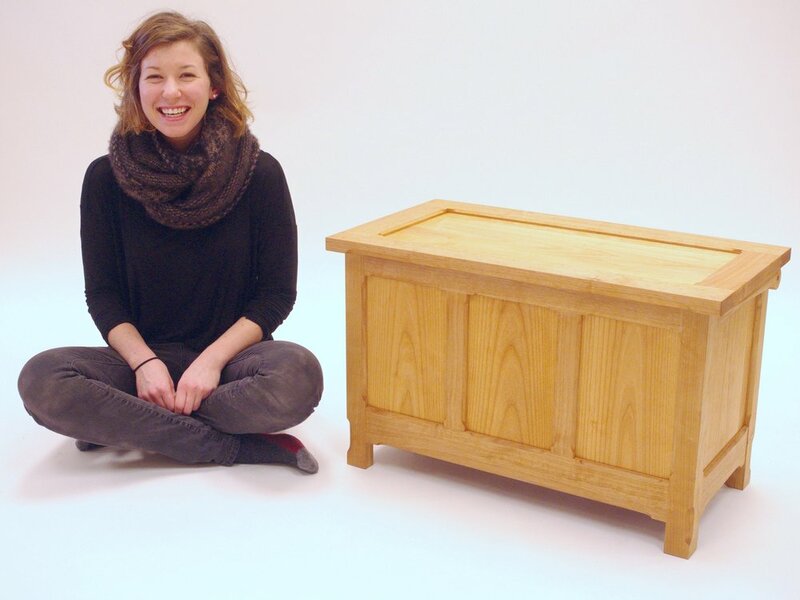 Design courses were popular including, Quick Furniture Design that boasted the tagline: “Unleash the Inner Furniture Worker!” We offered three one-week courses, Building a Tool Tote, Basic Homeshop Cabinet Making, and Building a Shaker Bench. 2008 was also our chance to tiptoe into historic preservation through funding from the Washington State Veterans Conservation Corps. The students’ enthusiasm and engagement in the first workshop was met with additional funding and the opportunity to try out their new skills on the restoration of Building 365. The success of these workshops demonstrated the quality of our coursework and faculty and the School was identified to be a beneficiary of a Department of Commerce grant in partnership with State Parks and Peninsula College. Students, primarily veterans and conservation corps participants, earned college credit for training in historic preservation, and work experience on the the window retrofit of Building 310, home of the Madrona MindBody Institute. Since our doors opened, we’ve seen an increase in younger students training for careers in woodworking, the next generation of skilled craftsman. This includes an increase in women who now comprise over 20% of our enrollment. Students have come from as far as India and France and as close as across the street. The success of our 12-Week Foundations of Woodworking Intensive Course, and student demand for another course of equal depth and focus on hand tool woodworking, inspired the creation of a 12-week Furniture Making Course to be launched in Winter of 2017 as well as development of a second shop facility. Thanks to our outstanding local faculty members who are the heart and soul of the school's community and continue to hold the bar high for education in traditional woodworking. The School’s success has also has gained us a national reputation and the ability to attract renowned craftspeople such as Peter Follansbee, Garrett Hack, and Northwest Coast Arts Master Carver, Steve Brown to teach shorter courses. We are proud to have hosted over 30 visiting instructors from all over the country who are specialists and masters of their craft. We continue to connect with a network of makers through partnerships with our educational partners and hosting the 2014 Furniture Society Conference. As our alumni community grows, more and more graduates are adopting the ethos of fine craftsmanship, discovering their passion for woodworking, and carrying on the work of preserving the tradition.